Over the past few years, Blockchain technology has been the talk of the town across various financial circles on a global level. It is true that our understanding of the limitless potential of blockchain technology is only at a fledgling stage as we are beginning to grasp its nuances. What Bitcoin introduced, has now become the subject of building a trustless, decentralized environment in almost all industries. Hence, the wine industry is no different. In the earlier centuries, fine wine trading was prevalent as a great measure of trust. For instance, whenever a seller offered a bottle of wine for sale, it had one or more of a redeeming quality that increased value. This could be something such as a well-aged wine or produced by an iconic winemaker. To gain trust, they usually come up with a reasonably good story of provenance, establishing that the particular wine is indeed authentic and was properly stored. This, however, has drastically changed in the last few decades. It all started in 2008, with the release of Benjamin Wallace’s true crime hit, “The Billionaire’s Vinegar”. The story centered around a German Music manager and wine enthusiast, who allegedly carried out fraudulent activities such as selling counterfeit wine. The wine sold under the false pretext that it was an expensive brand, which often turned out to be adulterated. In several instances, he even sold bottles that he claimed belonged to the great Thomas Jefferson. The Book soon became a New York Times bestseller upon its release, planting a significant seed of doubt into the minds of global wine collectors. Almost 5 years later, another incident shook the wine world for the second time, with the Rudy Kurniawan case. The accused had allegedly been a wine collector turned forger, subsequently found guilty and sentenced to ten years in prison. He had reportedly duped several high-end wine collectors, amounting to regions of almost $20 million. The whole story is discussed in Peter Hellman’s book, In Vino Duplicitas. Auction houses soon began to withdraw wine of suspicious provenance in large quantities. Lawsuits followed suit and billionaire Bill Koch fell victim to both Rudy and the alleged forgery of Wallace’s book, Hardy Rodenstock. He subsequently started a campaign against fake wine, hiring experts and spending more than 20 million dollars to make the project a success. With the advent of blockchain technology, some wine benefits are becoming increasingly clear to the industry, including provenance as well as authenticity, fraud reduction, consumer protection that ultimately leads to fine wine trading. Helping wine consumer protection and increasing trust: It is no secret that Millions of Pounds are spent on wine investments globally, an industry that solely depends on grades of wines. Considerations such as verifying the origin of the wine, how it was stored, as well as the credentials of the seller, are available with difficulty. This arena is no stranger to frauds, which often make headline news. The Rudy Kurniawan Case had exposed the full scale of counterfeiting wine while various subsequent cases emerged where investment companies taking money for wines they do not own. Storage has a far-reaching impact on a wine’s value; with wine stored at top-notch facilities usually fetch a better price. With blockchain technology, the process is risk-free. Exclusive Wine Trading platforms, Eliminating Third Parties: Fast forward to 2013 and two independent fine-wine trading platforms namely Cavex and Wine Owners sprung into existence. These platforms were mainly for private customers. It also provided an enticing opportunity to collectors and investors, allowing them to buy and sell their bonded wines from and to each other directly, eliminating the need for any brokers, merchants or intermediaries. Soon a number of similar merchants including Fine & Rarem Bordeaux Index (BI), Aston Lovell and Berry Bross & Rudd introduced their own variants of wine trading platforms, meant only for private investors. BI’s LiveTrade is arguably one of the most successful electronic platforms for wine trading, set up in 2009. The year 2010, saw the emergence of Berry Bros and Rudd’s BBX platform, which has processed wine trades worth almost 50 million pounds. The exchange has now introduced a new feature where sellers can set their own prices when offering the wine, receiving a commission of a flat 10%. Another recent successful example would be CWEX Exchange, which aims towards establishing an easy to access and user-friendly fine wine trading platform. The platform, backed by Swiss-based DotChain GMbH, guarantees a high degree of anonymity and security of investment. They achieve this by issuing blockchain based ownership certificates, with each bottle of wine traded. This system significantly decreases the total processing fees, with buyers seeing an almost 80% higher value of the investment made at the start. The CWEX platform undoubtedly makes the trading process easier, as well as being available to anybody interested in cryptocurrency holdings of real-world assets. All fine wine vendors registered on the CWEX platform have to go through a strict auditing process. 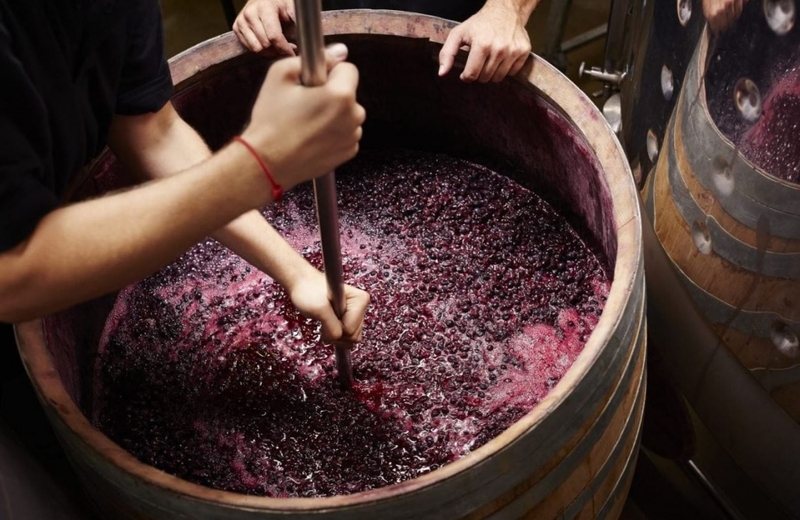 This process adds security to a trader’s investment, guaranteeing the fine wine’s authenticity. Bid or Offer: Registered Traders can place a bid or offer for a selected fine wine brand. Trade matched: As the trader’s offer or bid matches with somebody, a successful trade is completed. The CWEX platform secures the assets, meeting compliance requirements and insuring the asset. DotChain GmbH helps this process! The buyer now has the Blockchain based ownership certificate, as the trader then receives blockchain-based ownership certification on the account, serving as a guarantee of the bottle´s authenticity and the investment value. The certificate owner then has three options: Trading it on the platform; hold for price appreciation or fulfill it with a physical wine delivery. The world is just trying to understand the Blockchain world, with many asking the question, whether the technology is “wrong or right”. It centers around the issues such as “what is the application of the technology” or “What are its consequences?”, regardless, blockchain’s entry into the fine wine industry would revolutionize the industry.